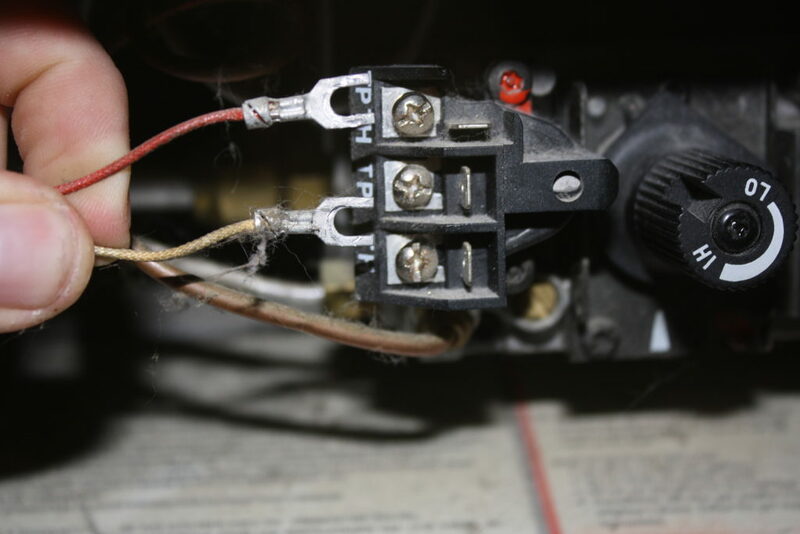 Before beginning this section make sure your pilot light is running, and you have read the Main Burner Troubleshooting Section so we can rule out faulty wall switch and bad pilot flame issues. If these issues have been ruled out, chances are your thermopile sensor is faulty. 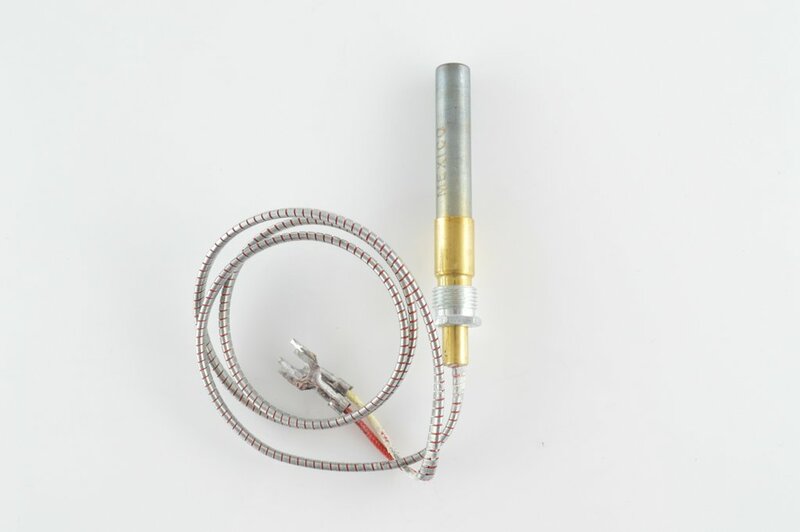 Just like a thermocouple, your thermopile will generate some voltage when heated up by the pilot flame. We can test the voltage that the thermopile is giving off by using our Digital Multimeter. 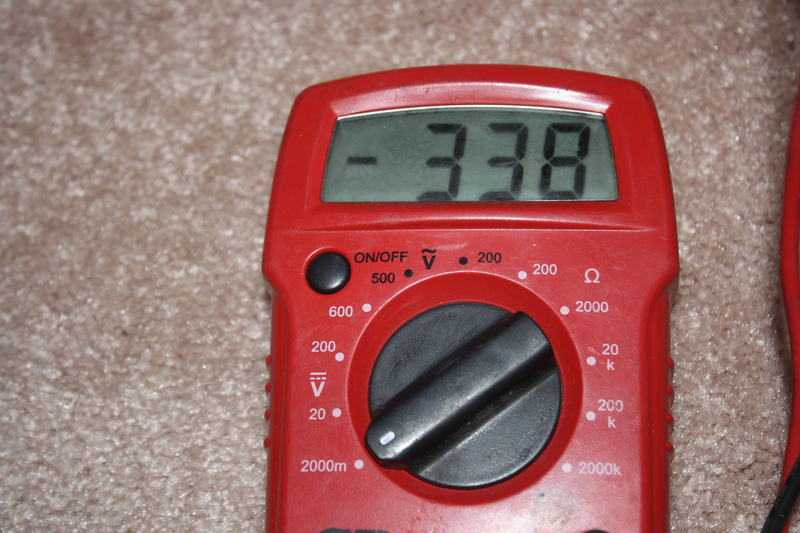 You will want to use your multimeter to test your thermopile leads. They are connected to the gas control valve, so the very first thing we should do is to locate the valve. But control valves can be located in many different areas. If you are having trouble locating the main control valve, please leave a comment with a picture or make/model of the fireplace and I will help you locate it. After you have found your main control valve, we have to locate the thermopile sensor. The Thermopile sensor will have a wire that runs from the pilot assembly, down to the main control valve. It consists of two wires that usually have a metal or tan fabric sheath that protects the wires. What happens if the voltage does not reduce by a little more than half? When you turn the wall switch on, If your meter reads 0 or very low, you know you have a short in your thermopile and you should replace it. 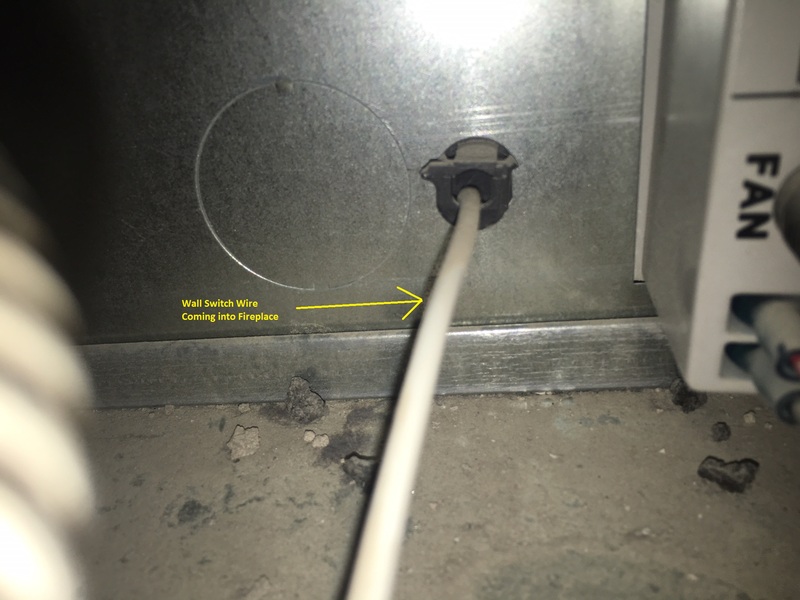 Although uncommon, some fireplaces (mostly natural vented units) will have a heat sensitive “snap disc” that is wired in line with the thermopile. 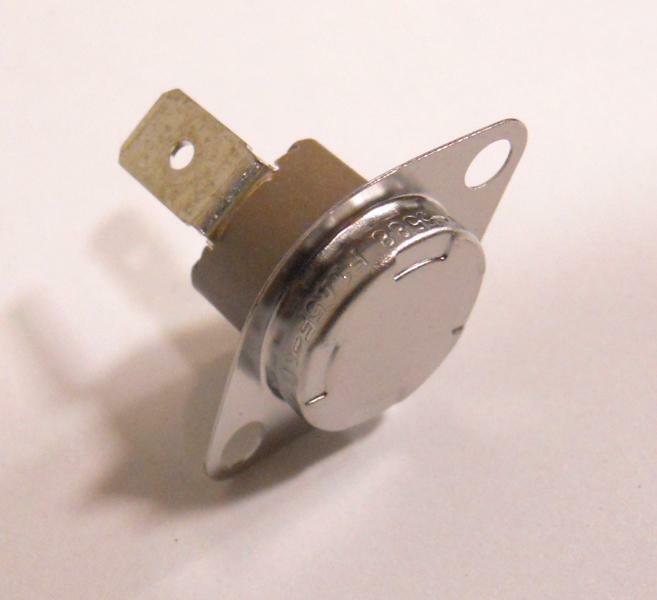 The point of the snap disc is to break the thermopile connection if it gets hot enough. Snap discs are used as safety mechanisms and will automatically cut the flame out if it is sensing the fireplace unit is not venting properly or if the fireplace unit is overheating. Issues arise when the snap disc malfunctions. The main burner will not turn on if the snap disc is tripped. 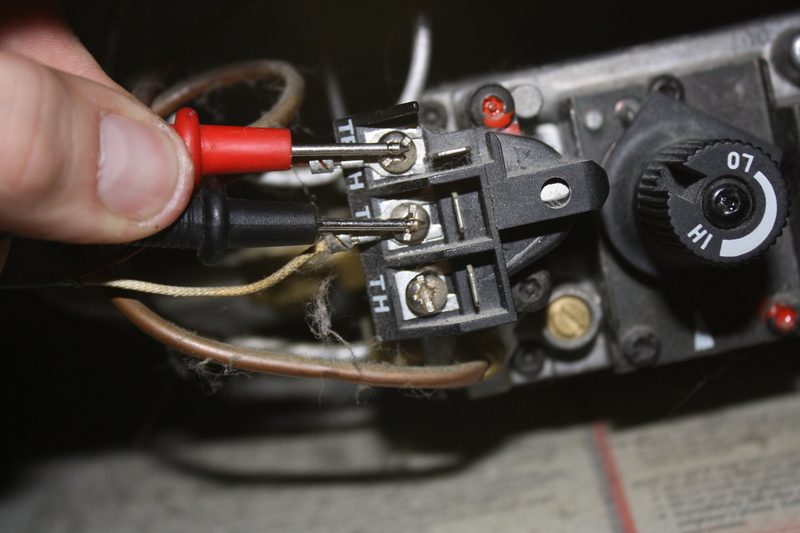 To determine if you have a “snap disc”, follow your thermopile wires from the valve, back to the pilot assembly. If either wire branches off and is not directly connected from the thermopile to the valve, it more than likely goes to a snap disc. Fixed the problem. Push In type wire had disconnected from the switch. Reconnected and all is working again. Pictures are a great help! Was able to test and confirm faulty thermopile in just minutes. Hardest part was to find one in Canada. The pilot stays lit, but it won’t fire up when the switch is turned on. I cleaned the thermopile, thermocouple and the connectors from the thermopile to TH/TP, but it still didn’t work. I then got my multimeter and checked voltage from the thermopile as you outlined here, it went up to about 700mv, but when I turn the switch on (or jump the TP/TH) it dropped to about 10mv and the burner doesn’t fire. No matter what I tried, with the switch is on (or jumpered) the voltage drops to 5-10mv and the fireplace doesn’t turn on. Do you think this could be a problem with the thermopile? Could it possibly be anything else? I just want to make sure this sounds correct before I buy a new one. You are correct. There is a short in your thermopile. Change the thermopile and you should be all set. Replacing the thermopile worked for me, thanks! I replaced the thermocouple and the igniter would not spark. So I lit the pilot manually & the Igniter would then spark?? The fireplace functions properly like this. But, in warm weather I turn the pilot off and then have to remove the glass windows and relight it. If your voltage doesn’t drop, its most likely something in your wall switch or wiring. Try bypassing the switch at the main control valve on the fireplace (instead of on the wall). 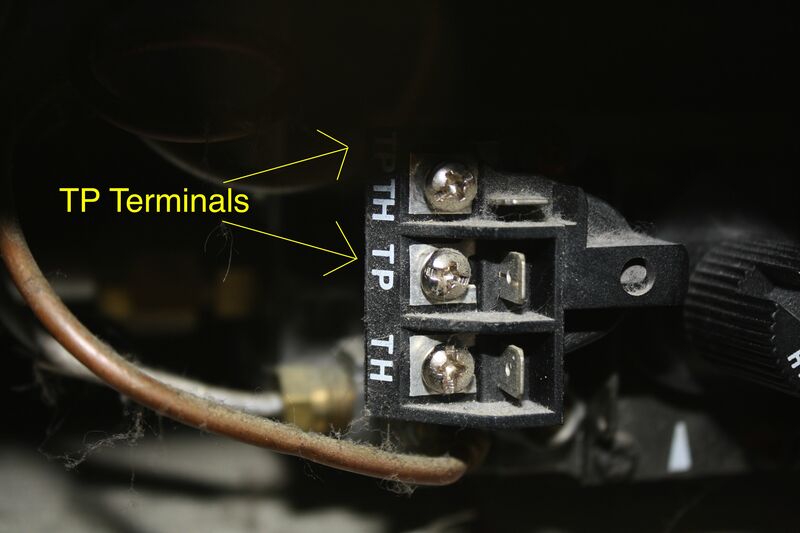 Take a piece of wire and connect one side to the upper terminal (TH) and the other end to the lower terminal (TP/TH) (these are usually the outer two terminals). This way we are bypassing the wall switch as well as any of the wiring leading up to the valve. You should see some sort of voltage drop when you do this. If it barely drops your main control valve is probably bad. If it drops to nothing your thermopile probably has a short in it. TY so much !!!! Shorting it helped me identify the problem was a $5 switch that was bad. We have a problem with the pilot light it will light for a minute or two and the flame comes on and then it all shuts off. How does the pilot flame look? Try visiting the . Many times if the pilot assembly has been deteriorated, once the main burner ignites and the fireplace establishes draft, the pilot flame will pull away from its sensors and the fireplace will shut down. This is what’s happening with my fireplace. Once the burner comes on and a draft is established, I can see the pilot light getting pulled away from the thermopile, then everything shuts off. What needs to be replaced and what is the proceedure? There are 3 things you can do. First, the pilot assembly can be replaced. 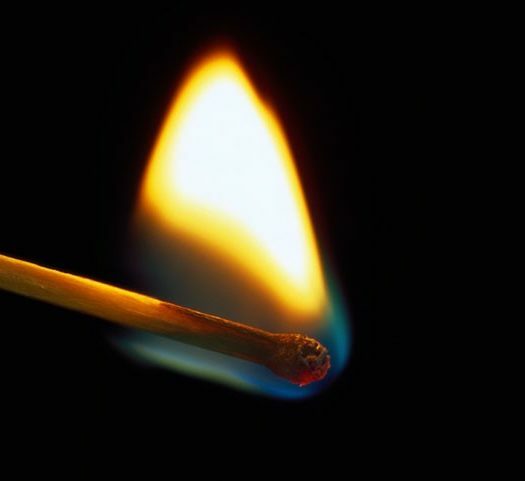 A weak or “candle-like” pilot flame will be easily pulled away from the thermopile. If your pilot flame looks okay, you can usually order a restrictor disc from the manufacturer that goes in the fireplace that slows down the draft. Or you can make a pilot shield (you can sometimes order these from the manufacturer as well) to go around the pilot and protect it from getting drawn away from the thermopile. Have you tried replacing the switch on the stove? The little toggle switches can go bad just as easily as a standard wall switch. Thank you so much for this article site/article! I’ve tested everything except the Main Control Valve – as the link above continues to take me back to this page. Switch is fine, pilot is fine, tested thermopile and it didn’t move between on and off switch position. Reading was about 500. So I bypassed the switch using wire, and the voltage dropped to 10mv. Now here’s the thing. If I flip my switch to the “on” position, and then tap the side of the Main Control Valve (close to where the thermopile connects) it will ignite. The hiss of the valve opening begins and violá, it ignites. So I was wondering could it still be the Main Control Valve, since I didn’t find a way to test that? Again, thanks so much! It sounds like the valve could be bad. I will be finishing the “how to test your main control valve” post shortly. I have an old Heat n Glo 6000 DVT. The remote control is not working and I have replaced the batteries. In checking the millvolt output of the thermophile I am seeing 325m.v., which is what the owners manual says I should read as sufficient voltage. What voltage is required for the remote to operate. It will turn the valve off, but not turn it on. What happens to the millivolt output after you try to turn the fireplace on with the remote? Thanks for the response. I just tested the thermopile and was getting 380 M.V. When I tested the remote and it opened the valve and the burner lit. The reading was 150 M.V. Could the problem be in the thermopile? When tested yesterday I was getting around 325 M.V. and now getting 380 M.V., just enough to activate the remote? Thanks again for your response, this site is great!! Do you think the 380 mv made the difference in the remote working?? Its possible. 325 millivolts is just on the border of too low. Sometimes there are batteries in the reciever as well as the remote. Make sure you change both. Actually the receiver is 110 AC. Thank you for your input, much appreciated. Thanks for the awesome pics ,It makes it so much easier ,I went to Ace Hardware and bought a thermopile (generator) Ace brand for $35 and worked perfect !!! By passed the switch and nothing. Thermopile reads 590 and no change when switch is turned on. Connected the TP to TP/TH with a piece of wire and the fireplace ignites. What is my issue? Any help is very much appreciated. Figured it out. One of the wall switch wires went to the valve terminals, the other to a lower door saftey mechanism that prevents the burner from working when the lower door is open. That mechanism was bad. Bypassed the door mechanism and placed both wall switch wires directly to the valve terminals. Works fine now. Pilot light lights and stays on. Stove lights and stays on for a couple of minutes. Both the pilot and stove go out. If I redo the whole scenario same result?? Does the flame look weird before it goes out? If the flame turns blue and appears to lift off the burner and burn in the air, this would indicate a venting issue. Open the bottom of the glass assembly to allow the fireplace to draw room air to confirm this. The wall switch works, the pilot works, the thermopile produces 699mV when the switch is off and 335mV when the switch is on. Make sure your burner tube is not plugged. This involves disconnecting the main burner tube, running a wire through it to clear the obstruction, and reconnecting it to the valve. (if you feel uncomfortable you can always call a qualified service technician). 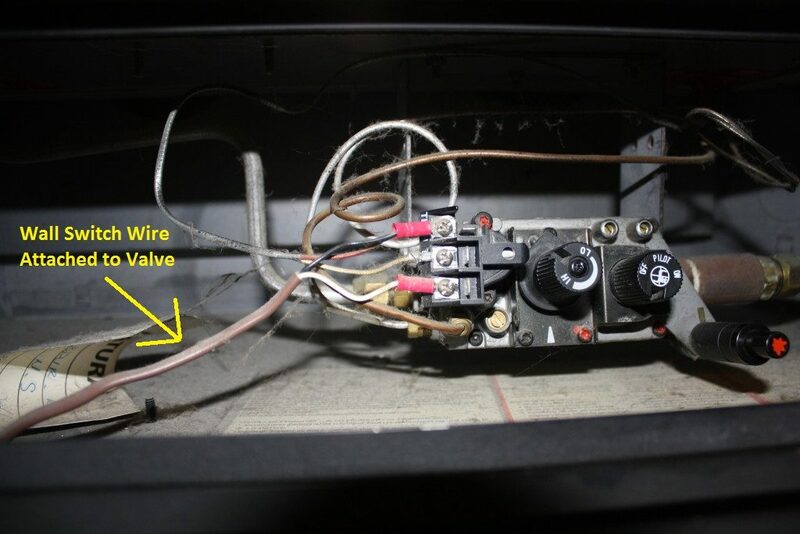 Try turning on the fireplace (just for a second) with the burner tube disconnected to see if any gas comes out to determine if you have an obstruction or if the problem is in the valve itself. I read everything, and your posts are very helpful. I opened the control box and changed out the double A batteries. I changed the triple A batteries to the remote. But the control box light does not turn on. I have it on the remote setting but the physical remote does not communicate with the box to turn off the flame/fireplace. I have a heat and glo fireplace model 6000GDVFL. The only way I was able to turn off the fireplace flame was by turning the pilot dial from on to off. I then flipped the wall switch once the flame went out and it sounds like a fan came on. When standing in front of the fireplace with the switvh on the hotair blows out the top of the vent. May you helpnme to sync the remote to the control so I dont havebto manually turn on and off the fireplace with the pilot knob? Also thr pilot is a nice blue flame. Thanks! You may have to “re-sync” the remote with the control box. There should be a small “learn” button you can press with a paperclip, then you can press any button on the remote to learn it. Also make sure your remote is not in a thermostat mode. It also sounds like the switch on the wall was for the blower (this is usually separate). It sounds like you have a vent free fireplace with an Oxygen Depletion Sensor or ODS. Most likely the ODS is malfunctioning and should be replaced. Great info.. thank you for taking the time to write it. I am confused with what I am finding.. I can get the pilot on without a problem. When i turn the wall switch on nothing happens (most times). If I jump the two leads coming from the wall switch I get the same result. If I take a reading shown on this page the voltage is very low 135. if i turn on the switch i do not see a change. 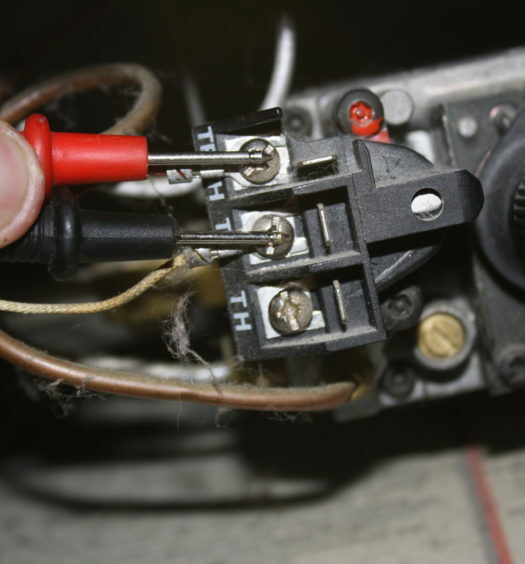 if I jump the two wires without switch .. no change.. if i use the rocker switch there is a change but minor. If I take a wire and jump the sensor leads it trips and shuts down the pilot. In the past when it would not go on.. if you hit the burner pipe it would light.. not it does not even do that. Suggestions? If you’re not getting over 300mv you will need to replace your thermopile or pilot assembly (based on how the pilot flame looks). I am getting 540 when the pilot is lit, but when I go to turn the switch to on, the pilot goes out and obviously I guess, as the thermopile cools the voltage starts to drop. Any ideas? It worked fine a motnh ago. By switch do you mean wall switch? or valve knob? If the wall switch is connected to the wrong terminals it will short out the thermopile when turned on. If the pilot goes off when turning the valve knob to “on”, your valve may be bad. Try turning the knob very very slowly to on. Many times this will keep the pilot running. OK…I gave it one last try by re-hooking the remote receiver back up and while doing that making sure the thermopile connections were clean. Not sure why, but the fireplace turned right on when I moved the remote receiver switch to “ON”! So far, your column has fixed two fireplaces in my neighborhood this week alone. Thanks! Try jumping the valve directly. Use a wire between the TP/TH and TH terminal. If it ignites it may be in the wall switch wire itself or how they connect to the valve. If it does not, test your control valve. Thanks for the info – was able to use to diagnose and fix mine (turned out to be a faulty plate switch on the door. This article walked me through step by step, and helped me to diagnose the problem that I never would have had a clue how to on my own. after going through it all, I replaced the thermopile and BINGO, I have a fire again!!!! This was awesome!!! You guys saved me a minimum of 200 bucks by sharing this easy to follow instructional. Replaced the thermopile after ruling out the main valve and watching millivolts drop to zero when flipping the main switch on. Working like a charm. Just wanted to say THANK YOU! I used the information on this page to diagnose and succesfully repair my old gas furnace. My symptoms were a functioning pilot light but no main burner ignition. Tested the thermopile with the voltage tester and got around 330 millivolts while wires were unconnected to gas valve and with pilot light on. Then got around 218 with the wires connected. Finally when I turned on the thermostat to make it call for heat, I only got 6 millivolts…BINGO! Found a thermopile at my local hardware store for $35.00. Install took five minutes. YOU SAVED ME HUNDREDS! Also, plumbing and heating pros down the street refused to sell me the part without a service call, citing “insurance reasons.” A-holes. I hope this helps someone else. I know these posts are a year old but I found the site and it was excellent. My flame would not come on with all of your test showing good. 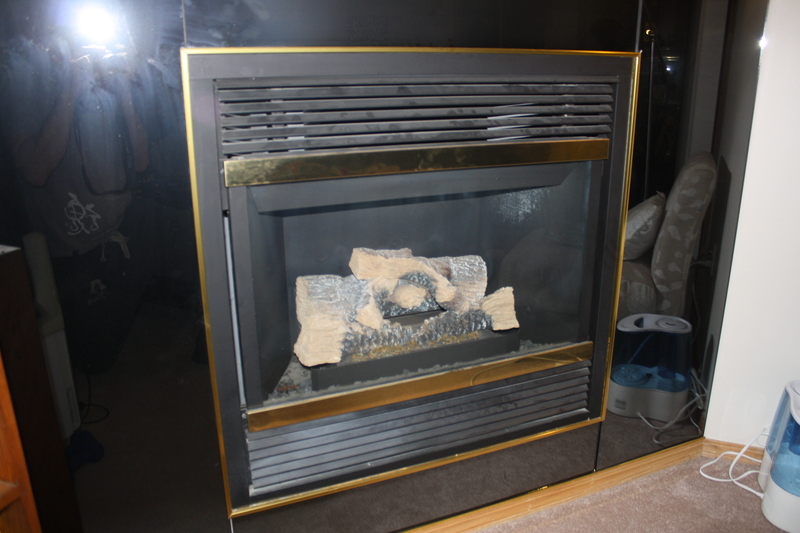 I would hear sort of a click or some kind of sound when turning on the fireplace but no flame. I had to clean under the hood of the pilot with a thin wire although it did not feel clogged. To my delight after assembling the flame was there. Thank you! Would a short in the thermopile cause the flame on the main burner to go out entirely? 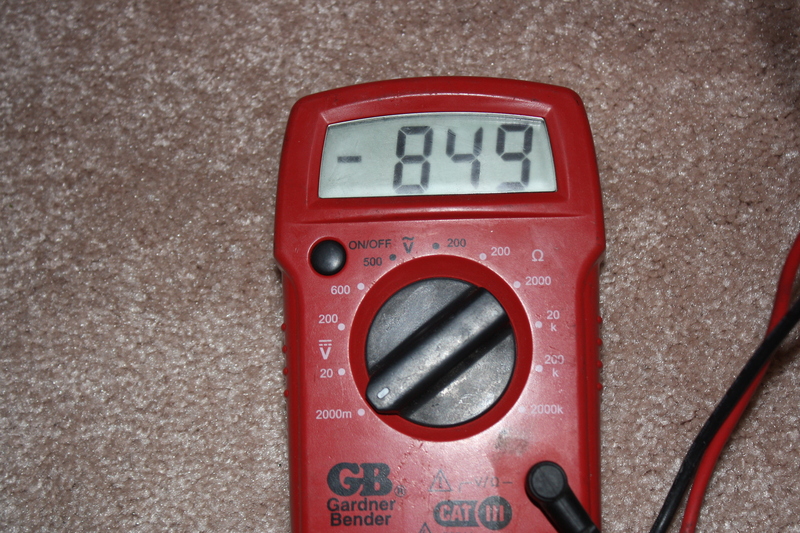 All other tests with the multimeter are fine when the unit is working but it only works intermittently. If I get it lit and the flame goes out it shows 0mV if I test again while the main burner is out. Does the pilot stay lit after it goes out? If the pilot is still lit, and you are getting 0 millivolts, I would definitely replace the thermopile. If the pilot goes out, the thermopile may not be your problem. First of all, thank you for the this site which is very well put together. After many fruitless google searches I found this one which contained everything I needed. Also, thank you for your reply. The pilot light does stay lit. However, after posting my original comment, the fireplace has stayed on as desired and the mV readings are all within the normal ranges. So weird but after weeks of fighting it and searching, it works for now. Should it act up again, I know how to react. Our pilot light is lit, but when I go to test the thermopile I’m not getting a reading at all. Although when I test the main console I do get the required range for resistance being offered. As well none of our breakers are tripped so there should be electricity running to the fireplace. Any ideas? As long as you are testing it correctly, no reading would indicate a short in the thermopile sensor. This would require it to be replaced. This repair article not only explained the purpose of the thermocouples and thermopile, it clearly explained how to test both units. My fireplace pilot light would light however after activating the main burner a few minutes later both the main burner and pilot would go out. I could repeat this every time as well. I first tested the thermocouple with a volt meter as described and it was providing about 16 mv which the manufacturer also stated anything over 10mv was a acceptable. Then as instructed I tested the thermopile and it provided 600 mv, reducing to about 285 mv when the main burner was activated, this exactly as the tutorial described as normal. Turns out the screw terminals for the thermopile could be snugged a little, but I believe my problem was one of the pilot not maintaining a steady flame on the thermocouple. I believe that when the fireplace began to effectively draft, that the added air flow disrupted the flame to the thermocouple just enough for it to cold and shut the u it off. I cleaned both thermocouple and thermopile with sand paper and adjusted the thermocouple higher up and more central in the blue pilot flame and much to my excitement my fireplace is again working perfectly. Slept on the couch last night and it worked flawlessly all night. 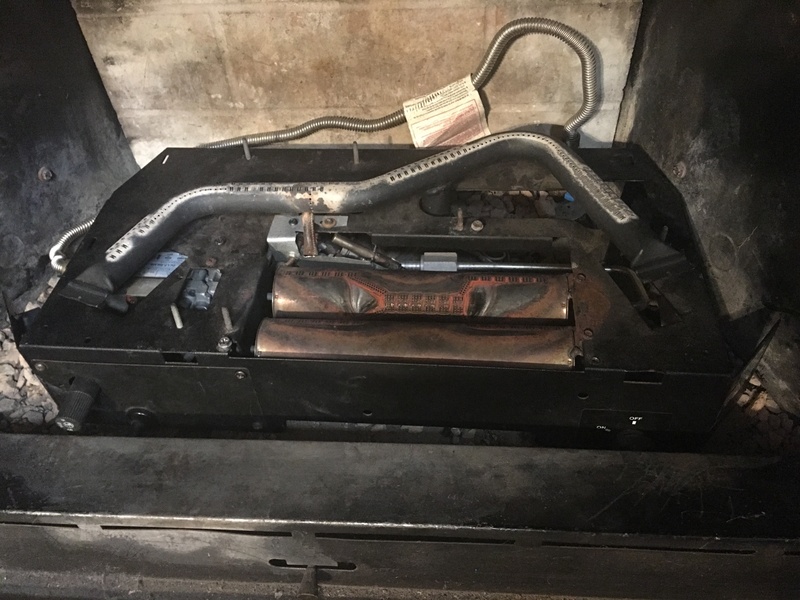 Excellent article and not only is my fireplace working (we have snow already-Nov 15th), I was able to do this my self I also saved about $250 for a service call, and who knows what non-necessary parts would have been sold to me! This can happen if the pilot flame gets pulled away from the thermopile as the chimney heats up and causes draft. Usually this means the pilot assembly needs to be replaced or cleaned (the flame is not as intense as it once was), or in certain situations you may have to bend up some metal to place around the pilot assembly to help shield it. Great post, thank you very much. What I thought was a thermopile issue was in fact a wiring/connection issue. I thoroughly vacuumed and cleaned sensor and retightened connections and it’s working great. Also, ruled out thermopile issue with multimeter. Thank you again. I have read most of the different sites on this and think I have narrowed down my switch issue to wiring. 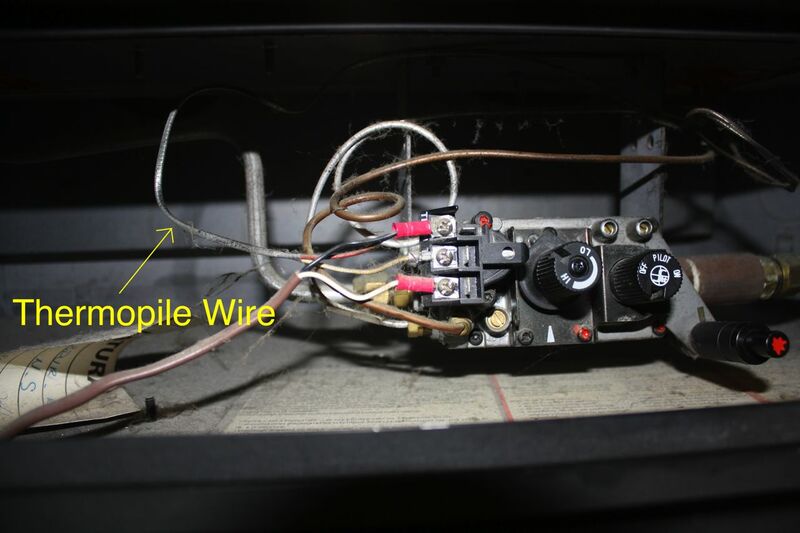 I can get my gas fireplace to start only when using a paperclip to “jump” the thermopile leads under the fireplace access panel. I then cut and re stripped the wall switch wires, also roughed the switch wires up with an emory board but still cannot get the unit to light from the switch wires (I also touched the wires together in the switch box to bypass the switch but could not get the unit to start). I have not replaced the switch but am assuming that will not help since I cannot bypass the switch with the wiring in the box either way. I am running out of ideas. See if you can see where the wall switch wire enters the fireplace. Make sure this does not go to a toggle switch or sensor somewhere else before getting connected to the valve. If the wall switch wire is connected directly from the wall switch to the valve, then there would be something wrong with the wire itself. I would be willing to bet that there is another toggle switch or “snap-disc” sensor somewhere that is breaking the connection. This is an IPI system so it does not have a thermopile or thermocouple. I would check the wall switch and/or wiring to/from the wall switch as well as making sure all the connections to the main control valve are tight. There should be an orange and a green wire “plugged” into the main control valve. Make sure the green wire is tight on the terminal on the valve (this green wire signals the main control valve to open and close). Does the pilot go out after its been lit or does it not want to stay lit when you first light it? It won’t stay lit when you first light it. This logset uses a thermocouple system (not a thermopile) so make sure that the thermocouple is threaded into the correct spot on the valve (and that the thermocouple is the correct size to do so) and that it is threaded all the way in. How long are you holding in the pilot knob after the pilot is lit? You may need to hold it in for around a minute for the pilot to stay lit on its own. If it still doesnt work than the problem must be in the valve itself. Thank you for the reply. I can confirm that the the replacement thermocouple is the correct one for the logset and it is threaded all the way in ( as ws the original). I have held the pilot light in for up to 5 minutes and it still goes out as soon as it is released. So I guess the conclusion is that it is the valve? Yes, unfortunately it sounds like its a bad valve. When there is a snap switch between the on/off switch and the control valve is it like a resistor that changes value with temperature or is it like a switch? Does it usually fail open circuit or can it develop a resistance of say 20-40 ohms? Typically these are either open or closed. They are supposed to remain open until they get too hot and then they break the connection. There may be some resistance through them but every one will have a different resistance. You can usually tell if they are bad by bypassing them and hooking your wall switch wire directly to the valve. 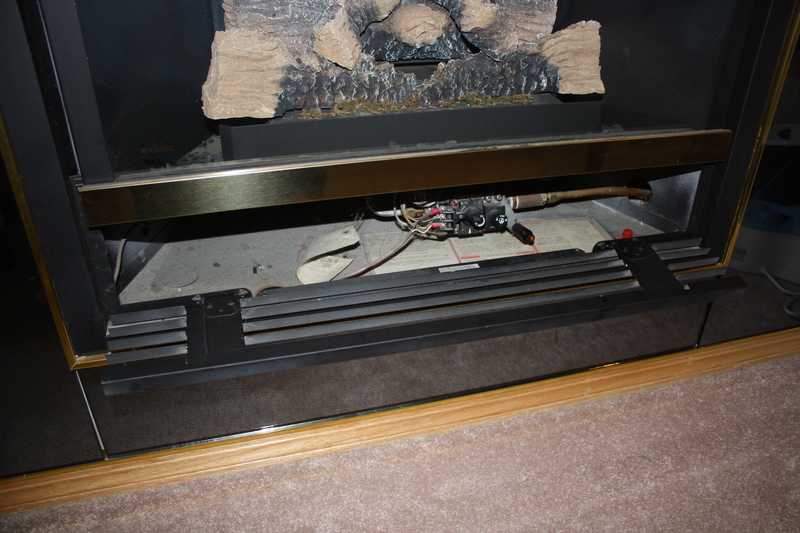 If the fireplace functions correctly then its time to replace the snap disc. This article led me to cure my Heat-N-Glo Napoleon 1 fireplace problems in about 10 minutes and saved me a service call to my local store. I thought I had a bad thermopile but in reality just had a loose connection from the thermostat to the control valve. Thanks for the help. It sounds like the weak pilot flame is getting slowly pulled away from the thermocouple as the fireplace heats up and creates stronger draft. My recommendation would be to replace the pilot assembly. Alternatively you can take the pilot assembly apart and try to clean it with a wire brush to help the pilot flame to look better. Make sure the valve is in the “on” position and not the “pilot” position. Also, make sure you hear a “beep” from the receiver when you try turning on the fireplace with the remote. THANKS!! I’ve been struggling with this fireplace for months! The tip on having the valve on the “on” position was the missing piece for me. Works great now. Make sure your pilot flame is large, blue, and fully engulfing the thermocouple and thermopile. If the flame is weak, the pilot assembly may need to be cleaned out or replaced. How long is awhile? when it goes out does the flame look different (blue and translucent)?